Arrive at Keflavik International Airport in Reykjavik and rent a car with Sixt Rent a Car. It’s an easy, ten-minute drive to your hotel, Canopy by Hilton Reykjavik. One of the better options in the city, the new hotel is millennial-centric with cozy suites sprawled throughout six connected houses, a convenient city center location, complimentary breakfast, and complimentary bikes. Walk or bike on over to the century-old harbor, which flaunts some outstanding views of the bay. There’s a flurry of activity here (museums, whale watching, people watching, and coffee shops), which gives a nice perspective of Iceland’s capital city. Don’t forget to check out the nifty Kolaportio flea market for all your Nordic tchotchkes. One of the most famous natural attractions on the planet, and an hour drive from your hotel, the Blue Lagoon is a massive, landmark geothermal pool where you can camp out for hours chilling out in the iconic, milky teal-colored waters. It’s rich in blue-green algae and mineral salts, not to mention silica mud for a detoxifying, natural mud bath. It’s obviously crowded with tourists, but who cares when there’s a swim-up bar built into the side? While you’re out here, pay a visit to the Reykjanes Peninsula, a dramatic, untamed landscape of volcanic craters, mineral lakes, hot springs and rugged mountains. The the geology is so unusual it’s where astronauts went to train for the first moon landing to anticipate its rocky terrain. Remember, the bachelor party dinner is your most important meal. So keep in mind that people eat a lot later in Iceland, and we’re trying to get you dining this to even out any jetlag. 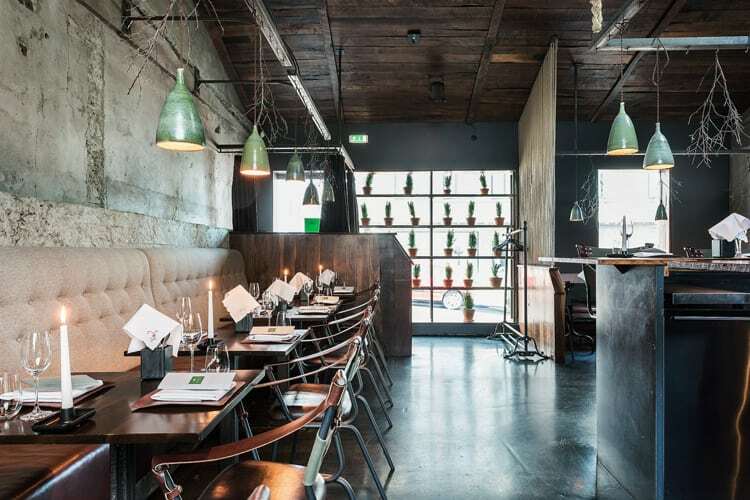 Dill, considered one of the best restaurants in the city, helped spearhead Iceland’s modern food scene after the huge economic crash in 2008. You can expect farm-fresh, foraged dishes that include everything from salmon to sheep-dung-smoked lamb (the dish to order). Definitely book a table in advance. 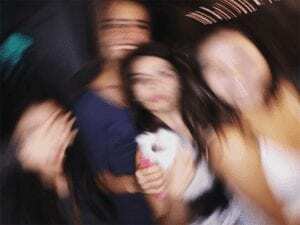 Slam an espresso then head to B5, one of the more popular dance clubs/nightlife venues. It’s a little space that specializes in bottle service, so expect big celebration groups partying all night. A modern, rustic, stylish watering hole, Loftid is more upscale, so dress the part. It’s an elegant, vintage-inspired industrial parlor that’s as Instagram friendly as rural Iceland. It’s home to the best craft cocktails in the city, local brews, and a solid wine list that’s hard to find in these neck of the woods. 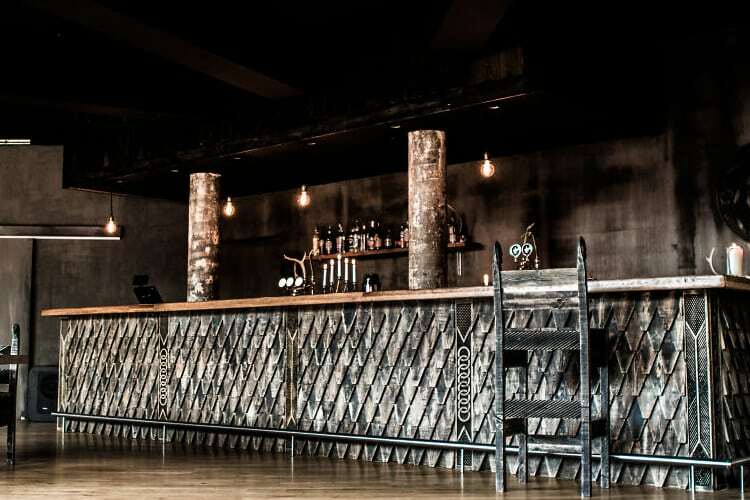 Drukkstofa Ooins is a true, contemporary viking bar opened by some guys who also own a mixed martial-arts club. It’s the type of place where Jon Snow would knock back a few brews. Expect local beers on tap, a comfy patio for catching some fresh air away from all that Nordic testosterone. Shack up an hour away of Reykjavik at ION Luxury Adventure Hotel, the most luxurious resort in the country. 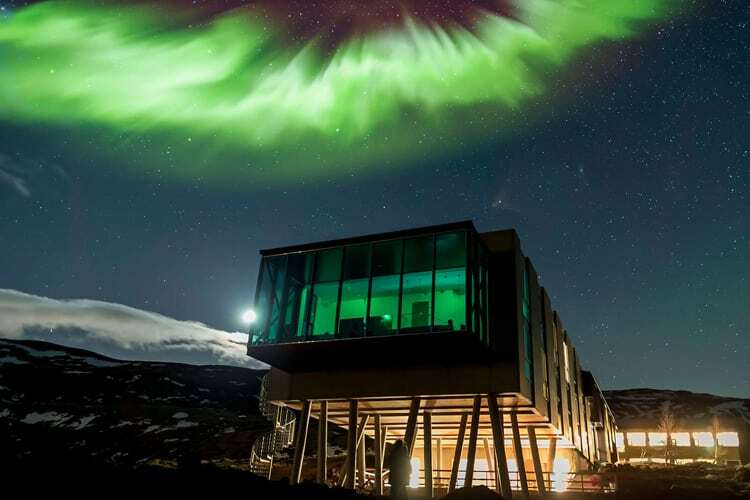 Propped up on stilts on a cliffside, the hotel is an architectural masterpiece, constructed entirely out of glass, steel, and concrete overlooking a green lava field. The rooms are cozy with lots of concrete, wood, and fur (and of course floor to ceiling windows). Due to low light pollution, you might even catch a glimpse of the ever-famous Northern Lights. Explore this beautiful area that’s teeming with hot springs and take out bikes or horses to explore the nearby geography. The beauty of ION is that it’s right in the Golden Circle, which is a popular tourist route that serves as a base for outdoor adventures. After a quick bite at the hotel, spend the afternoon at Thingvellir National Park, a UNESCO World Heritage Site that features the largest lake in Iceland. 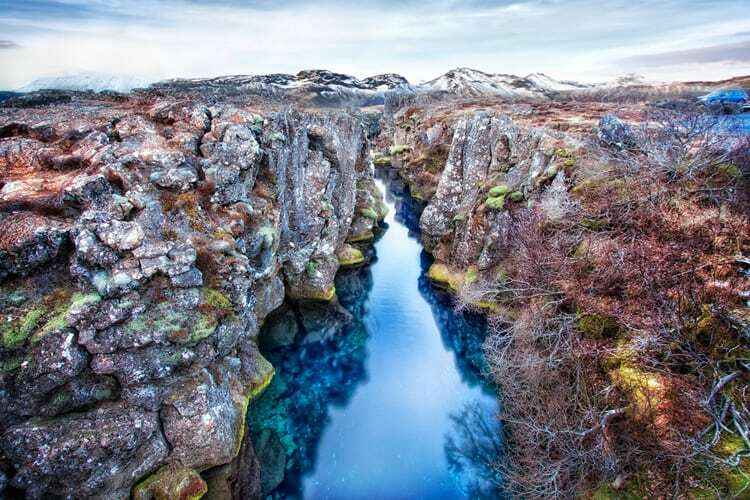 Here you can spend the day fly fishing, hiking, sightseeing on a Super Jeep safari, and checking out the crystal-clear, natural Silfra Fissure (the best place to snorkel and, if you’re certified, a hot spot for divers). It’s also great for rafting (only May to September) on the Hvita River. Hop on over to your hotel for dinner at Silfra, which serves up New Nordic fare, which is essentially modern, local cuisine. It’s a no-frills, casual spot with farm-fresh dishes like steamed cod, glazed lamb shank, and lamb tartar. There’s literally nothing between you and the sky but a sheet of glass at The Northern Lights Bar. This cozy bar at the hotel is essentially a glass cage, so you have no obstructed views of the night sky, especially the Northern Lights (the famed aurora borealis with green hue in the night sky), depending on sky clarity and conditions. Now you’ve got some options here. Starting promptly at 9 am, the hotel arranges an all-day Super Jeep tour to the famous Eyjafjallajokull Volcano that erupted in 2010 and canceled thousands of flights throughout Europe. The tour immerses guests in Iceland’s natural beauty, stopping at waterfalls, a scenic valley situated among three glaciers in the Highlands (the mother of all scenic landscape), then a mind-blowing hike to the summit of the volcano. Keep in mind you’ll be doing some strenuous activities here, so wear your best hiking shoes. One of the best ways to see Iceland is from an aerial perspective. With helicopter tours, you’ll come face to face with sprawling landscapes, from green valleys to waterfalls to volcanoes to lagoons. If you have a better camera than your iPhone, we suggest you bring it. There’s nothing like a good bonding adventure to start off the morning. Hit up natural lake for fly fishing, which is hugely popular in Iceland. Fishing was the main export before tourism kicked in, and it’s still a strong pastime. Hook, line and, sinker local catch like brown trout, which has been around since the Ice Age and can weigh up to 30 pounds. If you want to go deep sea fishing, another popular, all-day option, that can be arranged through your concierge too. From May to October, this tour operator is licensed/cleared to get you inside the dormant Thrihnukagigur volcano, providing all the gear and equipment you’ll need. It’s about a mile hike to the crater, then you descend 400 feet to the bottom of the crater in an open cable lift. You must be in good shape, and for total transparency, the guided tour is about 6 hours long, only 40 minutes of it actually inside the volcano (two hours of the tour is basically walking to/fro). 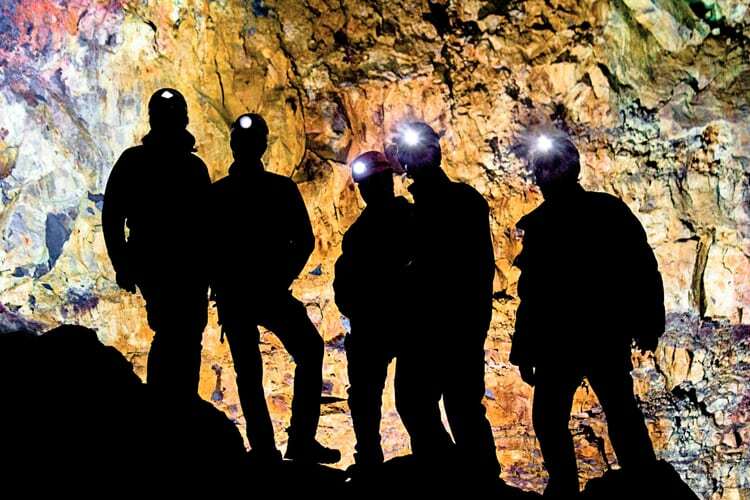 But, when is the last time you stepped foot inside a volcano? About 45 minutes away from your hotel, Laugarvatn Fontana is home to multiple hot springs that have provided the local village heat and geothermal energy for centuries. It’s less touristy than Blue Lagoon, and it’s a full-on destination spa with hot mineral pools. There’s a restaurant here that serves up a great lunch buffet, so fuel up before you head out. 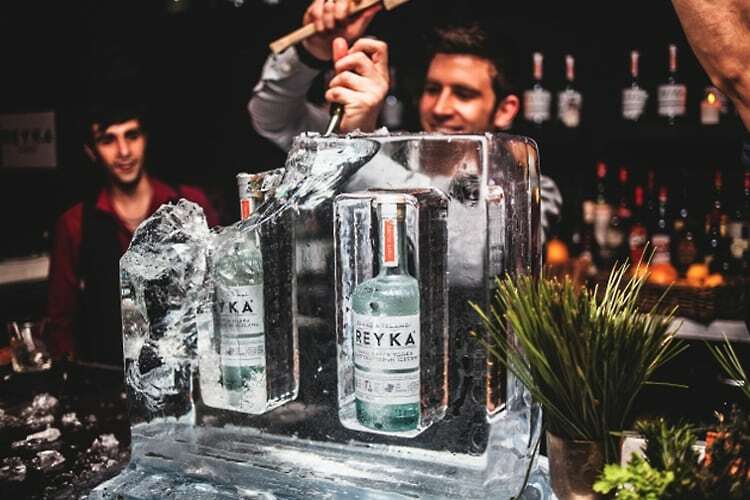 Rekya Vodka is one of the most famous distilleries in Iceland, and it takes sustainability to a whole other level. The entire facility is geo-thermally powered by nearby volcanoes, and it also collects Arctic water from a spring that runs through a 4,000-year-old lava field (filtered by lava rock, no less). It’s also probably one of the world’s most scenic distilleries, completely surrounded by mountains, waterfalls and unspoiled terrain. 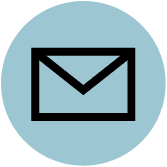 You have to get your concierge to arrange a tour as you can’t make it directly. It’s about a two-hour drive from Laugarvatn Fontana, but the drive is super scenic, and you also get to check out the seaside town of Borgarnes. After a long day, kick back at the ION hotel’s spa, which has an outdoor hot tub/warm pool. Indulge in a massage using Icelandic herbs, and now’s a good time to get that facial after all the outdoor adventures. 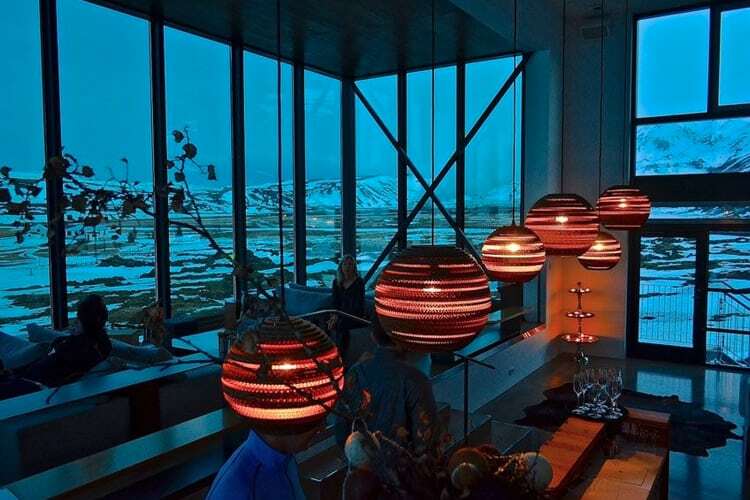 From here, grab a bite at the restaurant and kick back with all the other hotel guests at Northern Lights bar for the best nightcap under a clear Icelandic sky. If you’re feeling up to it (ie: not completely burned out from today’s activities), head back to Reykjavik for one last bar crawl. Keflavik International Airport is at least an hour and a half and a 60-mile drive from ION and you will be getting on an international flight. If you’ve got some extra time you could always hit up the Blue Lagoon one more time, it’s close to the airport. 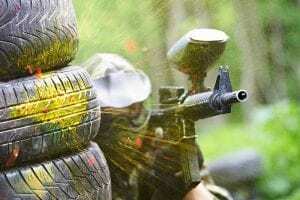 This bachelor party trek is a big ask, so remember, if you need any help planning the logistics, we’re here for you.